Why do Mind Maps use Curvilinear Branches? Whist all these statements are true, and a very important component of Mind Mapping, there are two fundamental, pragmatic reasons why Mind Maps use curvilinear branches. German psychologist, Hedwig Von Restorff showed that items which differ from surrounding data stand our in our memoires and are recalled more easily. Curvilinear branches introduce visual variety to your Mind Map. Straight or angular branches give rise to uniformity and monotony. This leads to poor recall and ultimately to confusion. Since one straight branch is much the same as another, as complexity grows it becomes more and more difficult to discern patterns and meaning from the Mind Map. This is disastrous for your thinking. You get lost in an ever more dense maze of lines. 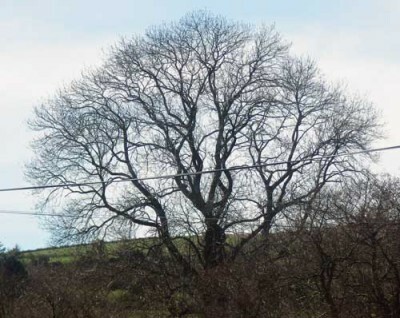 The branches of a mature tree are an ideal analogy for a Mind Map. Trees survive by harnessing energy from sunlight to produce glucose from carbon dioxide and water in photosynthesis. The greater the surface area of leaves receiving sunlight the more energy is absorbed. The structure of the tree is a masterpiece of evolution giving the best solution of exposing the canopy to light. 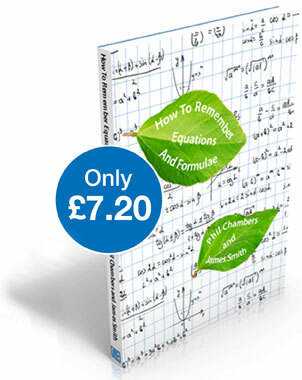 Mathematical rules govern the position of leaves to minimise shading from those above in a process called phyllotaxis. It is fascinating that nature has arrived at a system based on the Fibonacci series (1,1,2,3,5,8,13… where each term is the sum or the preceding two) and the golden section in classical geometry where a:b = b:(a+b). 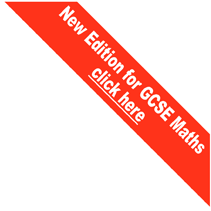 Both the formula and consecutive terms in the series lead to approximately 1:1.618. This is supposedly the most visually pleasing aspect ratio. It is found in many natural forms from pine cones to shells and is used in art, design and architecture. A Mind Map needs to efficiently use space without overlapping branches so it is logical that it has adopted a similar solution to the tree. 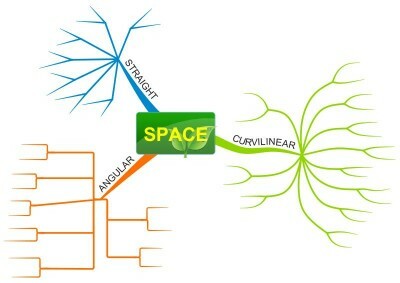 The simple Mind Map below shows how space is utilised better by curves. Straight lines very quickly start to collide and close off the development of ideas whereas curves allow many more initial ideas and subsequent deeper levels of branching. Angular branches are marginally better than straight lines in their use of space. However, they are still inferior to curvilinear branches. Another benefit or organic main branches is that they allow you to easily flow into empty spaces making use of ‘virgin real estate’ on the page. The effective use of space is often a challenge for Mind Mapping beginners. Of course, Mind Mapping software can, to a large extent, circumvent this issue by employing anti-collision ‘smart’ layout and the ability to reposition branches. Curvilinear branches are not some frivolous aesthetic whim arising from a desire to beautify your Mind Map but a necessary, practical cornerstone of effective Mind Mapping. As Tony Buzan says the Mind Map Laws are there for a reason and are based on psychological study. They should be accepted, applied and, only after having practised several hundred ‘pure’ Mind Maps, adapted. Ignore the laws at your peril!